Switzerland has its own power sockets. We can't provide converters for everybody so make sure to bring one along. Do note that the Europlug will fit in a Swiss power socket. 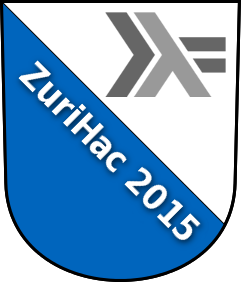 On the last weekend of May 2015, the Zurich Haskell Meetup group will organize ZuriHac 2015, a three day Haskell Hackathon hosted at the Google offices. This is the fourth Haskell Hackathon in Zurich. The previous three were ZuriHac2014, ZuriHac2013, and ZuriHac2010. This is a great opportunity to meet your fellow Haskellers in real life, find new contributors for your project, improve existing libraries and tools or even start new ones! This year, we want to have a special focus on beginners. During the whole event there will be beginners' mentors on site who you can directly approach at any time with any Haskell-related question you might have. Also, we will be having introductory talks for beginners, focusing on conveying experience that cannot simply be gathered by reading books or blog posts. Google Switzerland hosts the Hackathon. Visitors are not allowed to take any photos in the venue. No distribution of any Google work-related information visible inside the building. Visitors should always have a visitor sticker visible. ​Guests ​can not be left ​unattended. Duncan Coutts confirmed as second invited speaker; swapping days with Edward. If somebody cancels, we will fill up the seats from the wait list in first come first serve order. Please don't book anything before we have confirmed a seat for you. Here is the list of participants who have signed up for ZuriHac 2015 and have chosen their name to be listed there. 45 participants offered to be a beginners' mentor for half a day (thank you!). Here is a map with map with all important locations. To learn more about the city, please see the Wikipedia and Wikitravel articles. See here for public transport in the Zurich area. Day tickets in Zurich run for 24 hours and can be used on all forms of transport, bus, train, tram. 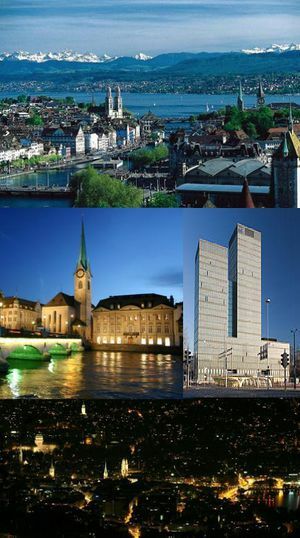 If you arrive via airplane, please note that the airport is outside of the zone 10, which only covers the city of Zurich itself. Since zone 10 counts double, you will need a ticket for 3 zones then. You can buy tickets from the ticket machines. Please note that all public transit in Zürich is free on Sunday (more precisely from Sunday, May 31st, 00.00, to June 1st, 05.00) due to anniversary of ZVV. http://www.langstars.com/en/ Youthhostel, CHF 50 per night. (*1) If you are hosting a project, please be there to both introduce it and give a summary afterwards. Also, please add your project to the projects page. (*3) We will provide salad and sandwiches or similar snacks for you. Because of limited budget we cannot serve a real lunch meal every day. Of course you can go to a local grocery shop and bring food and drinks with you. (*4) Beginners' track; Those talks will happen in a separate area, so if you don't want to attend you won't be disturbed. (*5) On Friday we will provide a proper lunch mean. (*6) On Sunday we will provide three types of pizzas and a salad. (*7) Coffee/tea and croissants. Make sure to eat something more substantial beforehand if you are not used to such light breakfasts. The links to the slides of the talks can be found on the HaskellerZ github page. Abstract: This talk is a case study in library design in Haskell. Fritz Henglein has shown through a number of excellent papers how to use "discrimination" to do lots of things in O(n): Sorting many more data types than you'd expect, table joins, etc. In the process of optimizing this approach and wrapping it up in a form that can be easily consumed, we'll take a lot of detours through the different ways you can think about code when optimizing Haskell. We'll need some category theory, from a deeper understanding of monoids to Day convolution. We'll need to consider final and initial encodings. We'll need to drift down to low level system concerns from building a custom foreign prim to nesting unsafePerformIO within unsafePerformIO. We'll need properties of laziness from productivity to IVars. Along the way we'll find and fix a small problem with the initial discrimination paper, which opens the door to streaming results, rather than having to wait until all the input is ready. This talk is a case study in low level optimization in Haskell. We have existing libraries for binary serialization but the mainstream ones use bad formats, and could always be faster. We will look at new work to improve on the existing libraries, to use a new better format, and to dramatically improve performance. We will go into the details of a number of standard and new techniques for getting a good combination of performance with features and flexibility. There'll be plenty of code, types and benchmarks. Abstract: The Monad type class is used extensively in both the Haskell standard library and numerous third-party libraries for all sorts of domains. Yet, it is also one of the most infamous roadblocks for Haskell beginners, which this talk aims to address. In order to build an intuition for what a Monad 'is' and especially for how it's useful in everyday programming, we will take a look at several important instances of the Monad class from the standard library (and the de-facto standard transformers package): Maybe, Either, , State and IO. The examples will focus for the most part on how these very different types are all instances of the abstract concept of a Monad, and how using this abstraction and the associated syntactic sugar (do notation) can lead to cleaner, more readable code. Afterwards, we will take a look at how the Monad class is defined by a set of simple laws that every Monad instance must obey. Time permitting, we may also touch upon slightly more advanced topics such as Monad transformers and how Monads are related to Functors and Applicative Functors. Prerequisites: LYAH up to and including chapter 8 (or of course anything else that covers the same topics). In particular, a basic understanding of algebraic data types and type classes is essential. Abstract: For many people, Haskell is not their first programming language - a lot of us learnt to program in other languages like Python or Java, and would like to be able to use Haskell to solve practical problems. However, what seem to be simple web applications in other languages can be daunting to even begin using Haskell. In this talk, we'll look at how to build a small web application to allow ZuriHac participants to share what they have been working on. We'll use the Spock web framework along with postgresql-simple to build a basic CRUD application, and see how we can start prototyping a simple web application within minutes. Abstract: Template Haskell is the meta programming extension for GHC. In this talk we will investigate and livecode some basic concepts of code generation and code introspection provided by this facility. We will also take a look on an example: the hflags command line parsing library. Abstract: Shifting from building compilers and desktop applications to online services and mobile apps means that Haskell programming is increasingly about building systems, not standalone data-in data-out contraptions. Systems that are distributed across anything from a handful to millions of machines. We'll look at what Haskell has to offer for building robust and scalable distributed systems, starting from the paradigms popularized in other languages to more idiomatic, safe and composable models. Abstract: Production quality code not only needs to compute the correct result, but needs to do so within some given resource constraints (i.e. time and memory). We'll look at the most common optimizations you can use to make your Haskell code perform better and some rules of thumb you can use in your daily Haskell programming to avoid some performance problems "by design". If you have any questions before the event, please reach out to Gleb Peregud <gleber.p@gmail.com> or Alexander Bernauer <acopton@gmail.com>. If you are a confirmed participant, you will receive update emails from Gleb or Alex as well. Before the event, and in particular during the event, you can find us and other participants on irc://freenode.net/#zurihac. In addition, feel free to post on Twitter and Google+ using the hashtag #zurihac. This page was last modified on 31 May 2015, at 08:31.